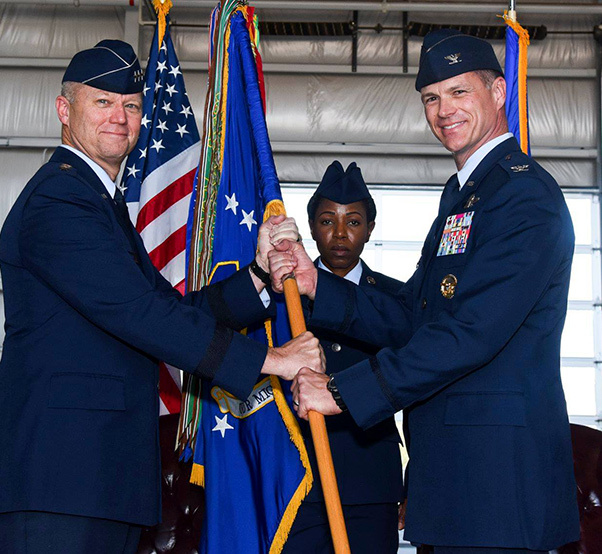 Lt. Gen. Mark D. Kelly, 12th Air Force commander, passes command of the 355th Fighter Wing to Col. Mike Drowley during a change of command ceremony at Davis-Monthan Air Force Base, Ariz., June 29, 2018. 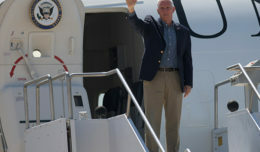 Prior to assuming command at D-M, Drowley served as Chief of Staff for the U.S. Air Forces Central Command, Al Udeid Air Base, Qatar. Col. Mike Drowley, former Chief of Staff for the U.S. Air Forces Central Command, Al Udeid Air Base, Qatar, took command of the 355th Fighter Wing at Davis-Monthan Air Force Base, Ariz., June 29, 2018. Although Drowley knew there was a challenge ahead, he was eager to not only lead, but also join the award-winning team. 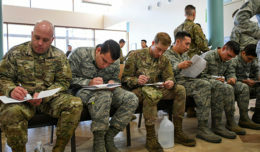 Drowley prefers this selfless approach because he sees the Airmen as part of a family, and for him, family comes first. 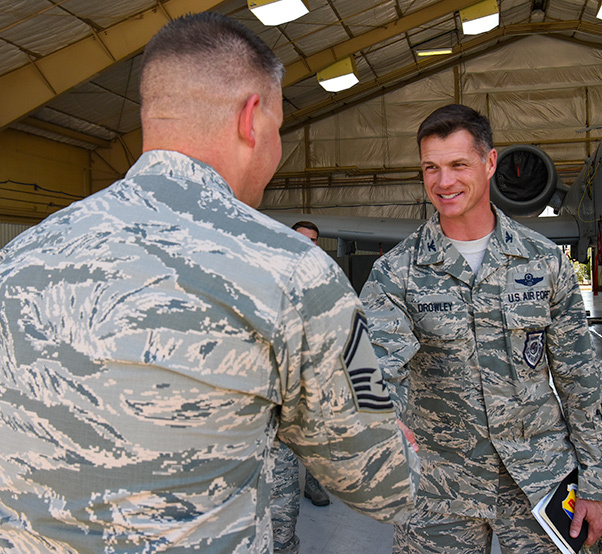 Col. Mike Drowley, 355th Fighter Wing commander, greets Airmen of the 354th Aircraft Maintenance Squadron during an immersion at Davis-Monthan Air Force Base, Ariz., July 9, 2018. While conducting immersions is part of the job for a commander, the interpersonal aspect is even more important to Drowley, who describes his leadership style as personable and service oriented. Drowley’s family supported him as he led some of the very first combat missions to Iraq and Afghanistan. Though the deployments gave him valuable experience as a military leader, he maintained his service-oriented approach wherever he went. 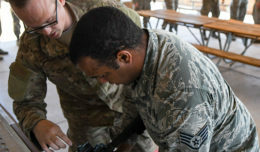 Drowley wants to make sure Airmen and their families are taken care of so that D-M has the ability to rapidly deliver combat power and maintain lethality against its adversaries. For Drowley, coming to D-M isn’t just taking on a new leadership role, it’s joining a new team. 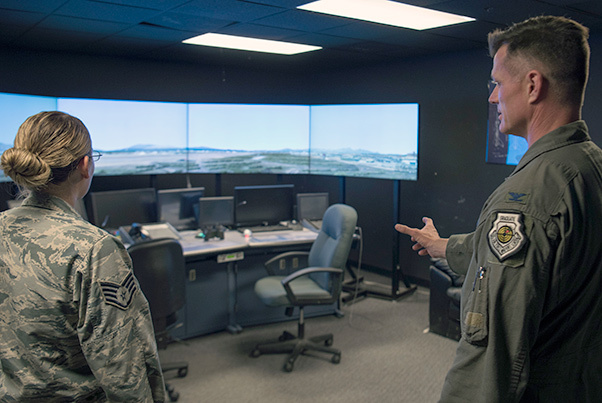 Col. Mike Drowley, 355th Fighter Wing commander, tours the air traffic control tower during an immersion at Davis-Monthan Air Force Base, Ariz., July 13, 2018. The purpose of immersions is for commanders to familiarize themselves with the installation and its Airmen.